Music, can open up our many emotions, happiness and sadness, is a necessary part of our life. As one of the most popular online music streaming service, Apple iTunes Store offers more than 37 million songs to stream, including exclusive tracks from numerous artists, which brings us lots of fun and enjoyment, but also causes much inconvenience. It is well known that Apple adds DRM protection to keep some of music from playing on non-Apple device. So subscribers can find and enjoy their favorite songs in the large library of iTunes, but fail to copy or transfer them to others devices for enjoying, such as MP3 player, or burn to CD for playing in the car. Is there any way to crack DRM from iTunes protected music, so you can play on mp3 player or share the music with your friends or family? To crack DRM from iTunes protected music, you can seek help from NoteBurner iTunes DRM Audio Converter , it is a quite professional DRM audio converter, which can remove or crack DRM from iTunes music, and convert any audio which can be played in iTunes, such as iTunes music, audiobooks, Apple Music files to MP3, AAC, FLAC or WAV format. In this way, you will get the DRM-free version of iTunes protected songs. 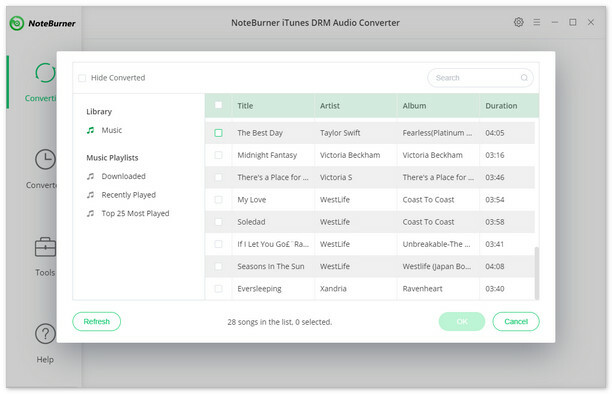 The following part is a detailed tutorial which will tells you how to crack or remove DRM from iTunes DRM-ed Music and get the DRM-free version of them, please download NoteBurner iTunes DRM Audio Converter first before getting started. 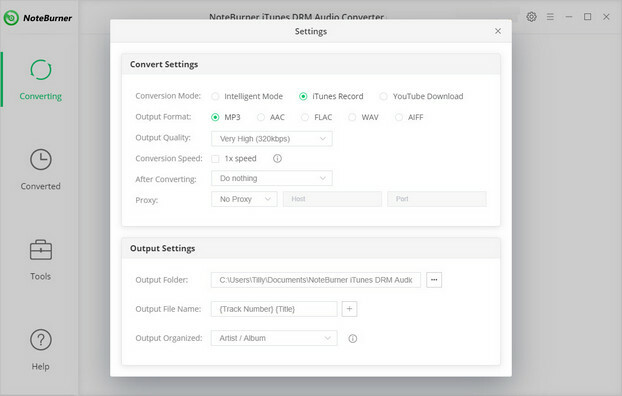 Download and install NoteBurner iTunes DRM Audio Converter. After it, please launch the software. After completing the above steps, the final one is clicking the button "Convert". Just a few second, it will succeed. The DRM protection will be cracked from iTunes music, you will get DRM-free version of them and enjoy those songs on MP3 player, car player or burn them to a CD and so on.